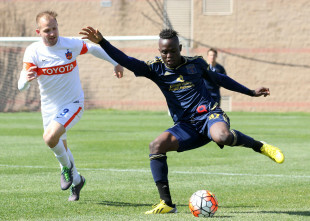 Its inaugural season ended only last weekend but Bethlehem Steel is already making moves with an eye toward the 2017 season. On Thursday, the team announced it has parted ways with three players, Jamie Luchini, Gabe Gissie, and Nick Bibbs, as well as player/coach, and former Union man, Fred. Between them, the four players combined for only 2,138 minutes of play over 52 appearances. The quartet joins Mickey Daly, Samir Badr, and Ryan Richter in the list of departures from the club’s original roster of USL players. Fred. A future in coaching. Good luck as you pursue that. Hope you stay local sir. Lovely gentleman.